Sarkozy allegedly accepted cash-stuffed envelopes. Jean-Michel Gentil was the judge who recently charged Nicolas Sarkozy with taking money from Liliane Bettencourt, the world's richest woman. Jean-Michel Gentil has now received a bullet and a death threat in the post. Medical experts say the mental health of Bettencourt, the L'Oreal heiress, began to deteriorate in 2006. Sarkozy allegedly accepted cash-stuffed envelopes from Liliane Bettencourt to fund his successful 2007 campaign. Sarkozy could face up to three years in jail, a fine, and a five-year ban from public office if convicted. Sarkozy has Hungarian Jewish origins. Liliane Bettencourt' father, Eugène Schueller, founded L'Oréal. He also founded La Cagoule a violent French fascist group which collaborated with the Nazis. Liliane married French politician André Bettencourt, who had been a member of La Cagoule. Jean-Pierre Meyers (top left), Francoise Bettencourt-Meyers (top centre), Liliane Bettencourt (bottom right) Jean-Pierre is a member of the board of L'Oreal and Nestle . Liliane's daughter is Françoise Bettencourt-Meyers. Francoise is married to Jean-Pierre Meyers, who is Jewish. Françoise Bettencourt-Meyers has converted to Judaism and raises her children as Jews. One of these children is Jean-Victor Meyers. He now watches over Liliane's "health and personal life after a judge determined he was the only one who could 'ward off all conflict between Liliane Bettencourt and Françoise Bettencourt-Meyers.'" Liliane has been friends with François-Marie Banier 'a French gigolo and photographer'. Liliane has reportedly given Banier gifts estimated to be worth as much as €1.3 billion. François-Marie Banier, more recent picture. Tapes made by Liliane's butler allegedly captured a conversation between Bettencourt and Éric Woerth, a French government minister, who was running a high-profile campaign to catch wealthy tax evaders. In the tapes, Woerth reportedly asks that his wife be given the job of managing Bettencourt’s wealth. Bettencourt received a €30 million tax rebate while Woerth was budget minister. L'Oreal has links to the Bilderberg group, which reportedly combines Nazis, Jews and 'mafias' in a happy alliance. "Marc Ladreit de Lacharriere and Maucher Helmuth, who both served on L’Oreal’s board... have been involved in the Bilderberg Group. Sarkozy has also had some involvement in Bilderberg." "As seen in the poisoning of Russian ex-FSB and KGB agent Alexander Litvinenko in London, there are solid links between Berezovsky, the Russian-Israeli Mafia, and Islamist guerrillas in Chechnya and abroad. "However, British intelligence... has been unable to crack down on the Russian-Israeli Mafia infiltration of Britain since the billions of pounds in dirty money has made its way into the coffers of top Labor and Conservative politicians." Berezovsky was a friend of Litvinenko. Alexander Litvinenko died in 2006 after being poisoned with polonium-210 while drinking tea at the Millennium Hotel in London's Grosvenor Square. Hugh Davies, counsel to the Livinenko inquest, said the inquest could extend to include "the possible culpability of the British state in the death of Alexander Litvinenko....in carrying out by itself, or its agents, the poisoning." Litvinenko was reportedly involved with the Chechen Mujaheddin, which is said to be allied with the CIA's Al Qaeda. Litvineko reportedly had links to the European organized crime smuggling networks that were being spied upon by outed CIA agent Valerie Plame Wilson. Litvinenko reportedly had links to the Israel-based Russian mafia. Reportedly al Qaeda has links to the Russian-Israeli mafia. Reportedly, Litvinenko had visited the London office of the British private military contractor Erinsys, Ltd, which has been linked to Iraqi National Congress neocon agent Ahmad Chalabi. Boris Berezovsky 'was found dead' at his home in the UK on 23 March 2013. His family and some friends say they do not believe Berezovsky killed himself. They suggest he may have been murdered. According to a family source, an initial postmortem discovered a broken rib. Friends say Berezovsky may be buried in Israel. Nikolay Glushkov says that Berezovsky, just days before his 'death', had arranged several appointments in Israel including 'personal ones'. He told the Guardian: "Galina doesn't think this was suicide. "She knows Boris was to go to Israel. "He had a lot of friends and he felt relaxed there. "I don't believe this was death by natural causes. "Boris was a refined person, and he would have killed himself by less painful methods." David Miliband, whose brother Ed is expected to be the next prime minister of the UK. David Miliband was the UK government minister responsible for the UK spy service MI6. Now he is to head the International Rescue Committee (IRC), a charity based in the USA, with operations in over 40 countries. The IRC provides "emergency relief, post-conflict development and resettlement services." The IRC is reported to be a CIA front organisation. "Ford Foundation archives reveal a raft of joint Foundation-CIA projects. "The most prominent of these CIA fronts are the Eastern European Fund, the Congress for Cultural Freedom, and International Rescue Committee." A quick look a wiki page of this so called charity told me what they were. This charity was where the US-trained death squads were active in the 80s and 90s. Oh, and those loving humanitarians Albright and Kissinger are involved; while on the board sit the great and good of the corporate world: representatives JP Morgan and American Express! Sofia Miliband, the code breaker, was part of the Soviet delegation to the 1943 Tehran Conference, attended by Churchill, Stalin and Roosevelt. David Miliband's cousin Sofia was born in Moscow and still lives in Moscow. Sofia worked as a code breaker for Stalin's Russia. So, the Milibands may be part of the Kosher Nostra? 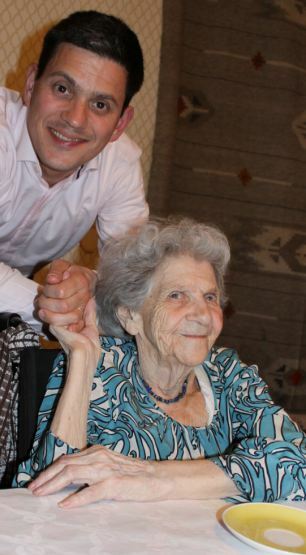 David Miliband, with their cousin Sofia, who worked as a code breaker for Soviet Russia. David Miliband's grandfather was Samuel Miliband, who reportedly fought with the red Army. One of Samuel's brothers is thought to have joined the Russian communists' Red Army, fighting the Western powers in the Russian civil war. David Miliband, left, Ed Miliband, and father Adolphe Ralph. David Miliband is the elder son of Marion Kozak and the late Marxist theoretician Adolphe Ralph Miliband. 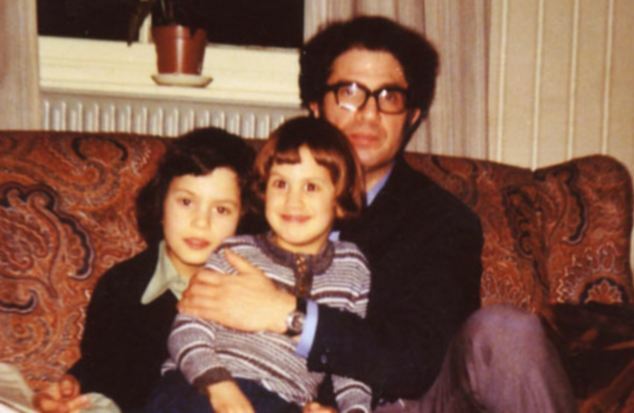 Adolphe Ralph Miliband had Polish Jewish parents. Adolphe Ralph Miliband's father, Samuel, was born in Warsaw, Poland, in 1900. Samuel had a cousin in Warsaw named Osip Miliband. Osip's son, also called David Miliband, travelled to Moscow, before the Russian Revolution of 1917. The Moscow David Miliband's daughter is Sofia, the Russian 'spooky' Russian code-breaker. In 1940, both Adolphe Ralph and Samuel fled to London. Sofia, the code breaker, was part of the Soviet delegation to the 1943 Tehran Conference,attended by Churchill, Stalin and Roosevelt. She received a birthday card from Vladimir Putin, which congratulated her on her work for Russia. David Miliband, brother of Ed. "Miliband is listed on an official Israeli Propaganda site as an Israeli Hasbara author. "The same Miliband was until very recently investing an enormous effort into changing British Universal Jurisdiction just to make it easy for Israeli war criminals to make it to Oxford Street early on Boxing Day. "Just a few weeks before the IDF launched its genocidal attempt against the people of Gaza, the same Miliband visited Sderot to ‘show solidarity’ with the Israeli people. "Miliband is still loyal to the darkest ideology around namely Zionism. "Britons better grasp that Israel was using no less than 15 forged British passports. "The Israelis were obviously confident that they could get away with it. With a listed Hasbara author running the foreign office and half of the shadow ministers being members of the ‘Conservative Friends of Israel’, the Mossad had a good reason to believe that Britain’s politics is in its pockets..."
Michael Cherney, now living in Israel, is a friend of Boris Berezovsky. Cherney says he spoke to Berezovsky on the morning of Friday 22 March 2013. 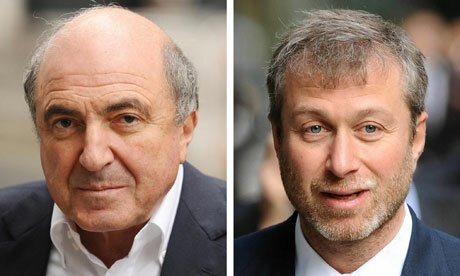 Berezovsky told Cherney that he was flying to Israel on Monday 25 March 2013. Berezovsky asked Cherney to book a hotel for him on the coast just outside Tel Aviv. "It turns out that he didn't mean to die," said Mr Cherney. Boris Berezovsky allegedly died in the UK on 23 March 2013. Boris Berezovsky is still alive? Russian politician Viatcheslav Nikonov says that Berezovsky is probably not dead. "I have doubts," said Nikonov. Berezovsky had financial difficulties; Robert Maxwell had financial difficulties. Some people believe that Jewish tycoon Robert Maxwell faked his own death. Reportedly, in January 2013, the leader of the Liberal Democratic Party of Russia (LDPR) Vladimir Zhirinovsky met with Boris Berezovsky in Israel's city of Eilat. From a Peter Lanza Photo Album containing photosets from 2006 to 2009. The Peter Lanza photo album contains photos of Peter with 'Ryan', but not Peter with 'Adam', nor Peter with 'Ryan and Adam'. This could suggest that Ryan and Adam are the same person? Ryan. Or is it Adam? Supposedly this is Ryan. "Same ATF Agent at Ryan Lanza arrest then at Sandy Hook Firehouse." "Could it be that…Ryan Lanza is Adam Lanza? "He is also listed in the yearbook of 2008; however no photo is provided. Watch the interesting video below:"
Allegedly, "Ryan Lanza graduated from Quinnipiac in 2010. "In 2009, ADAM Lanza was taking courses at Western Connecticut State University." Video: Adobe Photoshop overlay of Adam Lanza’s published photo by the mainstream media and Ryan Lanza’s photo. "But, maybe Adam was a fill in or ‘dropped’ into the family as a player for the upcoming event at Sandy Hook." "I will assure you those yearbook pics are all photoshopped. "I even know exactly which photoshop filters were used. The giveaway is the yellowish tinge of the pics made to look like the photos are aged or low quality camera settings when in fact diffuse glow from photoshop is used cause that filter hides any cut pasting of faces and fonts. Insanemedia - We break stuff. Like the news. Just read it! "Adam has had both blue eyes and 'brown' eyes"? More here: Insanemedia - We break stuff. Like the news. Just read it! Very little information on the Lanzas: I’ve searched for information on Peter and Nancy Lanza and I’ve found very little. I’m not finding any birth certificates, marriage certificates, work information, etc. I found more information on the father of Peter Lanza, Peter Salvatore Lanza... I found lots of old census records and past addresses. Joseph A. "Socks" Lanza (1904 - October 11, 1968) New York labor racketeer and member of the Genovese crime family. One thing that’s odd though, his obituary from 2010 was entered in “Find a grave” on 12/16/12, two days after the shootings. Why would someone enter that then? Also, Peter didn’t marry Shelly Cudiner until recently, so why is she included in the obituary (from 2010) with family? I understand they were said to have been dating for 3 years, but would anyone include a girlfriend of a child in an obituary? That doesn’t make sense to me. I've found even less information on Nancy (Champion) Lanza. There is only one Nancy Jean Lanza in the country, living in Florida and too old to be THE Nancy Lanza. I can’t find any record of a Peter J. Lanza with the birth date recorded in People Finders. I did find a Peter J. Lanza, Boston College yearbook photo (1967). Since the father was from Haverhill, Mass it would make sense that he could have a son attending Boston College but the photo doesn’t match and he would be older than what’s been reported. "The handling of the scene: In a real situation with a shooting and mass casualties, ambulances would have been rushed to the doors of the building, EMT workers would have entered immediately, checked on the status of each victim, placed them on a stretcher and rushed them to a hospital, even if they couldn’t get a pulse. There would have been efforts to save them. There were none. That defies logic. "The school itself: I can’t prove this but I can’t help but wonder about the building. I believe it could have been shut down years ago due to the condition of the roof, the parking lot, no sign of any activity, no flyers on the doors, signs, Christmas decorations and things one would expect to see at an elementary school. It has the setting for a municipal building – a parks and recreation complex, water treatment or testing facility, or something like that. The long road leading to the building isolates it. It’s not safe and it’s not practical. A school should have more than one entrance and exit. There’s no reason why there wouldn’t be an exit at the back of the building from Crestwood Drive, which is right there. There’s no history available, no photos from the construction, no old yearbooks, no old articles about the school. Well, there is reference to “Sandy Hook School” but nothing that confirms “12 Dickinson” and the two different spellings of the road bother me. We’re missing something. Sandy Hook fire house: As much as the school bothers me, so too does this fire station. I wrote a recent article about this. I don’t believe that building was an active fire house. I believe they altered it and essentially converted it to a fire station. The 9 bay doors at the station are inconsistent with what one would expect to find in a small town. There shouldn’t be a need for that many bays. The Newtown fire station only has 4, they are in an old building and have been searching for a new location for many years. It doesn’t make sense that Sandy Hook would have such a huge station. I believe they needed a place to stage this and this was a perfect location, near that old building. Inconsistent stories: There are so many. I’ll list a few of the main ones. 1. Dawn Hochsprung was interviewed by The Bee even though she was supposed to be dead. They retracted it several days later, but how could this happen? 2. Nancy Lanza was a Kindergarten teacher at the school; later – no one had ever heard of her. 3. Gene Rosen had 6 kids in his driveway but those same kids were allegedly picked up by a woman and driven to the police station…only there were 5 of them in this version. Gene states that the parents picked the kids up there. The parents of Aiden Licata state that they picked him up at the police station and also that they found him at the fire station. At the time that Rosen was allegedly with the kids, he was seen in video at the fire station so what’s going on with this story? Jim Solomon, linked to a 'child abuse' church? 4. The glass was broken out by Lanza, then “glass was broken by police”. I won’t go on but there’s a very long list of inconsistent contradictory statements. No information about the people transported to the hospital: We have yet to receive names of the two kids and two adults who were taken to the hospital. We have never been given the name of the little girl who walked out of the school covered in blood. Was she not taken to the hospital? Why wouldn’t she have been taken to the hospital? People involved are all interconnected: The Halsteads have 3 family members with the fire department, one with Sandy Hook School and the town clerk is engaged to the fire chief. The town clerk doesn’t want anyone to have access to the children’s death certificates even though they are public records and we are entitled to them. The same few people who allege to be associated with the school have been interviewed over and over. Many of the people who have spoken up about or written letters in support of gun control or mental health reform have criminal records. Some of the families have multiple AKA’s associated with their names and very suspicious looking backgrounds. I noticed early on that 12/25/09 appears as the sold date on the majority of the homes in the area. The only explanation given by the clerk’s office is that they got a new computer system on that date but that doesn’t explain why some of the properties do not have that date, such as the Lanza’s. Several properties on Riverside were listed for sale just after the shootings; one of them the day after. All of them are in foreclosure now. Two of them are directly across from the fire station. Coincidence? The Pozner’s home has been abandoned, is being gutted and is in foreclosure. The Gays listed and sold their home in January. There’s no Google street view for any of the side streets throughout Newtown and Sandy Hook and the imagery is old, most of it from ’08 or ’09 and it’s blurry and dare I say some of it looks photo-shopped or manipulated. This isn’t normal.